Best Price Guarantee! We offer the best products at the lowest prices! Ace Floor Mats is a proud partner site of Authorize.net. We use 128-bit secure socket layer encryption on all our checkout pages for the safety of our customers. 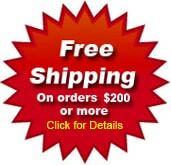 Ace Floor Mats proudly offers free shipping on all orders over $200. 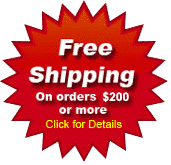 Offer is valid for free ground shipping within the continental United States only. Offer excludes Alaska, Hawaii, and US Territories. Orders under $200 will incur a $25 shipping and handling fee. These Logo mats are made using a handcrafted process in which your logo design is carefully printed on the vinyl loop mat. Custom logo mats / Vinyl mats are a great way to promote your company’s image. Easy to clean, simply vacuum, shake or rinse with a hose and allow to dry. Great resistance to aging and rough use, that’s why it’s perfect for indoor and outdoor use. 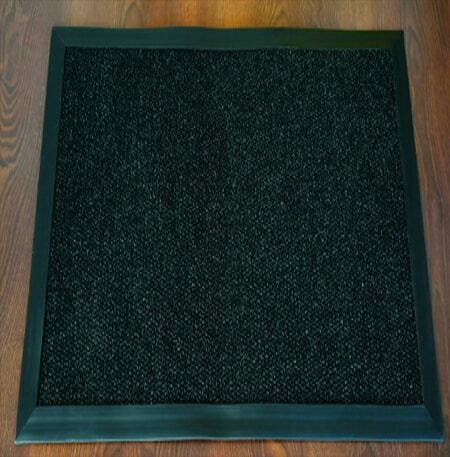 Rubber scraper mats are extremely durable and are best suited for both indoor and outdoor use. They are made out of Nitrile rubber making them tough and long lasting. Ideal for heavy duty application great for factories, construction sites and areas where traffic is high with dirt flow. This Plain Premium Mats has been manufactured with an advanced polypropylene fiber to provide an outstanding functionability and performance. 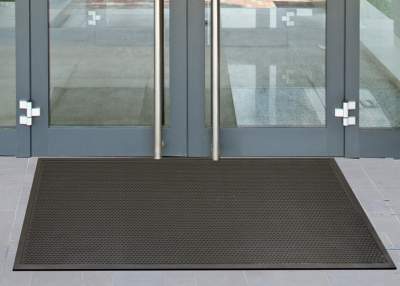 As a perfect entrance mat solution, they are unique in the market, thanks to its durability and effectiveness, working properly in different placements. In addition, you can choose the dimensions that best fit with your work area or space, because we can customize it to any kind of placement. 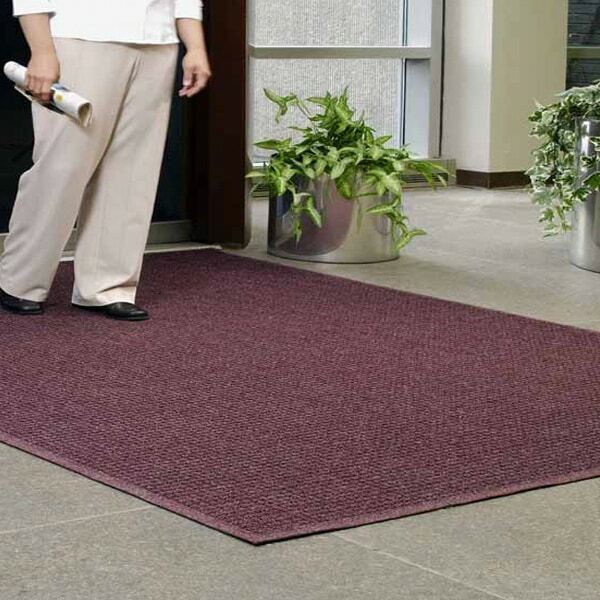 100% polypropylene carpeting absorbs moisture in these stylish mats. 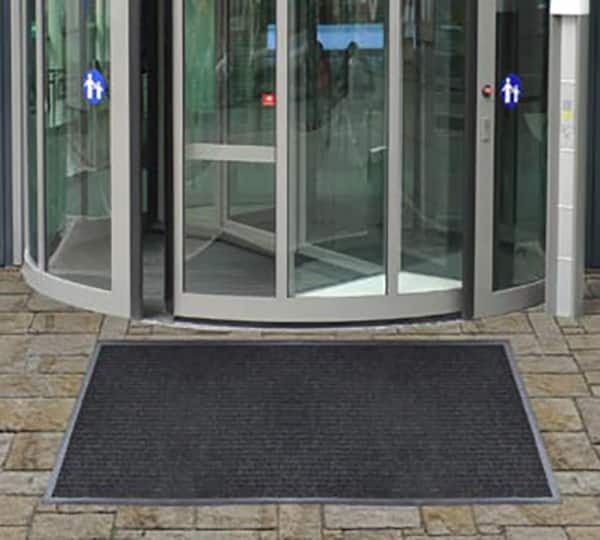 Available in a variety of colors and patterns, Dual-Rib Entrance Mats are a great alternative for lower traffic entrances. Vinyl backing means a lighter, stain resistant construction. This is a solid color carpet mat (entrance rugs) that enhances any house or office decor by providing a wide pallet of colors. 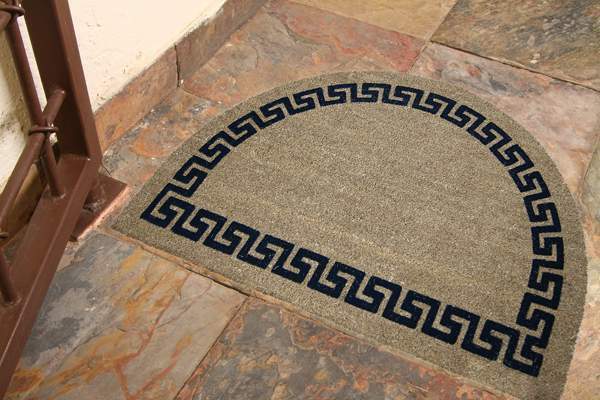 Great entrance rugs for indoor entrances, these entrance rugs will provide a great quality and style. Rubber borders facilitate transition and cart traffic . Available in standard and specialy colors. Plush solution dyed nylon for improved absorption and color fastness. The EcoGuard Floor Mats carpet thread is spun from recycled plastic. Made from 99.9% post consumer recycled material, this plastic mat is the most eco-friendly and ecologically responsible plastic floor mat ever. Durable crumb rubber backing is wear-resistant. Raised nubs in the mat effectively remove and trap dirt and wetness and the unique Water Dam borders hold up to 1½- gallons of water per square yard. The mat dries quickly when exposed to moisture and it won’t fade when exposed to sunlight. Durable polypropylene face is suitable for indoor or outdoor use. 100% Nitrile rubber backing for increased slip and skid resistance. Certified “high traction” by the National Floor Safety Institute. Available in 18 different colors. 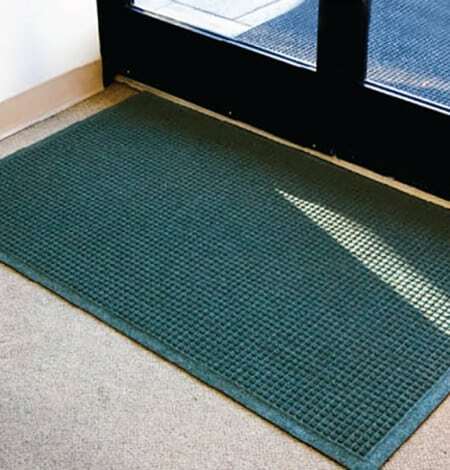 These scraper mats are the most aggressive door mats in the industry. Due to their diamond pattern, these entrance floor mats are very effective at scraping shoes clean of dirt, debris and moisture. Water dam border that can hold up to 1.5 gallons/square yard of water. Green friendly rubber backing has 20% recycled rubber. 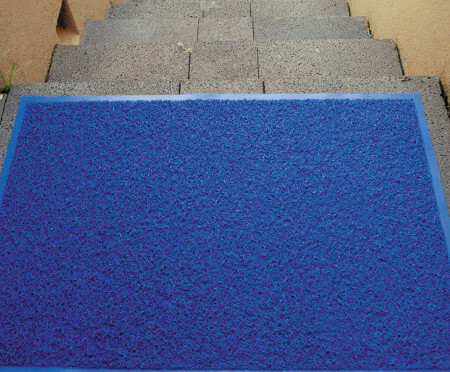 Dries quickly and provides a slip-resistant surface even when wet. Choose among 4 different colors. We have 2 different coir mat models: Monza and Etrusco and they’re perfect to meet your outdoor entrance needs. They are water resistant, and they remain cleaning just as well as the very first time. With pattern drawn directly onto the fiber. For cleaning of shoes in any interior or exterior entryway. Base made of PVC for maximum strength and durability. One of our representatives will be in touch within 60 min.